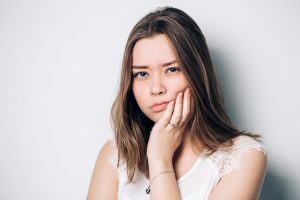 How Does Sedation Calm Dental Anxiety? Do you feel nervous about seeing the dentist? You’re not alone! Studies show up to 15% of the population experiences some form of dental anxiety. However, avoiding routine care increases the risk of serious complications, even the loss of your natural teeth! In order to help anxious patients in Greenville, TX, we may suggest dental sedation. How does sedation dentistry calm dental anxiety? When Do You Prescribe a Calming Agent? We may suggest them for people with a fear of the dentist, one that prevents them from obtaining the routine care needed to maintain optimal oral health. They allow us to perform one or multiple procedures, starting patients on the path towards a healthier smile. Treatment also helps those with developmental issues that make undergoing treatment difficult. The most common form of sedation is nitrous oxide. Commonly referred to as laughing gas, we administer this option through a mask over the nose and mouth. The patient immediately enters a relaxed state, with little to more memory of the procedure. We can adjust the level of sedation throughout the procedure and the effects wear off as soon as the treatment ends. In fact, some people drive themselves back to work or school following treatment! If you require a more substantial calming agent, we may opt for oral sedation. The night before, we suggest avoiding a large meal and limiting consumption of food and drink in the six to eight hours before the procedure. The patient then takes a pill, which helps them reach a much calmer state. Again, they will have no memory of the treatment. However, there may be some grogginess afterward, so patients will need to arrange for a find or family member to bring them home. Intravenous sedation is our deepest form of sedation. Administered via an IV, the patient enters the deepest state of relaxation possible. Once more, they will have no memory of the procedure and yes, they will need to arrange for a friend or family member to bring them home. The calming agent we recommend will depend on a number of different factors, such as level of anxiety, medical history, and the state of the patient’s oral health. If you have any questions about our solutions for dental anxiety, or if you think these options could help you, then contact our team today. Ready for A Dental Sedative? We don’t want your dental anxiety to keep you from receiving the treatment your smile needs. To learn more about our sedation options, or to set up a visit, schedule a consultation with Smith Family Dentistry in Greenville, TX call us at 903-455-5750. We proudly serve patients from Hunt County, Greenville, Royce City, Sulphur Springs, and all surrounding communities.